What Features are Found on the 2018 Land Rover Range Rover Velar Interior? When you think about buying a new car, you want to pick something that not only matches your style and budget, but one that also provides you with the comfort and convenience you desire. The 2018 Land Rover Range Rover Velar is the newest addition to the Land Rover family, and it’s making quite a stir in the Baltimore neighborhoods. Why? Because the 2018 Land Rover Range Rover Velar interior combines perfect craftsmanship with intuitive conveniences for a vehicle you won’t want to live without. The 2018 Land Rover Range Rover Velar brings a lot of sophistication and style to the Baltimore roads, and the new model’s interior is something that makes this model a must-have. With ambient lighting, impressive finishes, and a plethora of convenience features, there’s no way you’ll find another vehicle that matches your needs. 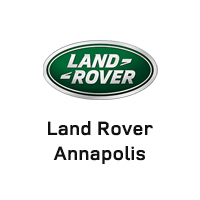 Visit Land Rover Annapolis today at 101 Ferguson Road in Annapolis, MD to see our inventory or learn more about the interior. You can also contact us online or call us at (410) 904-3108 to explore our vehicle specials.